"The very first day i joined BSC i met Adam and we briefly talked about getting me into to shape. At first i had zero hope i would be able to workout/lift or even do any type of cardio. Adam helped me to build my confidence in me and 5-6 times a week i was training with him. When i first stood on the scale i was weighing in at 325 pounds. Over 20 months not only i LOST 145 pounds Adam taught me how to workout,position my self during certain exercise, eat healthy and the list goes on. If it wasn't for Adam to keep pushing me making me believe in my self i would have never seen such results. I have lived in 4 different countries and trained with multiple trainers, without a doubt Adam Stone is the best trainer i have ever worked with. i'm still doing his workouts and diet plan even I'm back home in India. Thank You Adam! current weight 180-185 pounds. Waist was 54 inches now its 34 inches." "I was introduced to Adam through a close friend started with stone fit boot camp classes and now have been training with Adam for 2 1/2 months. I haven't been in this good of physical shape In over 8 years. I have lost over 40lbs and counting. He has not only taught me form and technique but has guided me with diet. He learns your capabilities and pushes you to your limits. I started out with a 1 month package and now on my 3rd month because of what fantastic results I'm seeing. The best trainer by far in Rhode Island. Thanks for the great results and motivation!" "I have been working with Adam for over 12 weeks now and haven't felt this good mentally and physically for over 20 years. He pushes me to lengths I never knew were possible and never allows me to let myself down. He knows exactly what he's doing. (even though sometimes I think he's intentionally torturing me :) Adam, you've made me stronger in more ways than one. I appreciate you and I appreciate "the process." You've taught me the correct way to work. Not only with form and body but with my mind and heart. I can now take all you've given and truly be successful and STONEFIT! I will forever be grateful. #getsome!! " "I have been training with Adam for almost a year and I have really seen a difference in my stamina and abilities. He really challenges me to work to my full potential. He is very knowledgeable about the physical as well as the nutritional aspect of training and is now helping me stay fit through my third pregnancy. Adam really cares about helping to bring about long lasting results. I would recommend Adam to anyone who is looking to get in shape, stay in shape, and learn about proper nutrition." "I have been training with Adam for over four years. He is a dedicated and extremely effective trainer. After two kids, I am in the best shape of my life. I look forward to my weekly sessions with Adam - especially when they are over!!!" "I have only been taking Adam's classes once a week for several months and have already seen a big difference in my strength and stamina. Every class is different, but all are extremely challenging and workout the whole body. He corrects my form and explains each move with helpful tips that I can use in all my workouts. I highly recommend him to anyone looking to take their fitness to higher level." ​"Adam spends the time to know his clients needs and designs a tailored work out plan that executes a strategy based on his clients overall fitness goals. He is the best in the business. Adam was my personal trainor years ago , and haven't found a better trainer since moving to MA. He would always give that extra effort, for example with Meal plans , or finding time to train me after hours boxing outside at his house at night. If you want to challenge yourself and have someone push you past that plateau, and help you achieve your fitness goals by pushing yourself towards excellence, look no further than Adam (Stone fit) because you won't find anyone better who will be mutually invested in you." "Adam did a great job teaching me the correct way to build my leg muscles. This has been training I should have reached out for years ago. My legs feel 20 years younger and I am poised to have a great year of running!!!" "Adam is a great trainer. He is educated in all aspects of the fitness world. He motivates you in such a way that failure is impossible. Life is much better after the workout!" "I had the pleasure of working with Adam for two years and he is the absolute best! I dropped a significant amount of inches,and body fat in just the first two months and noticed a huge difference/increase in my overall energy levels. I also witnessed Adam help a good friend drop 140lbs in 20 months ! he is truly dedicated, and amazing to work with :)"
"Look no further! Adam is the best trainer. He has been especially helpful with nutritional guidance. He has even done meal preparation for me. His fees are fair and his sechdule is flexible .also ....really nice guy." "I have trained with Adam for the past 3 years and I can honestly say it's change my life. I feel strong, capable, and able to do anything I set my mind to. Adam has taken me to levels of fitness I never, ever thought I would reach, and I know its change how I approach my health for the rest of my life." "Adam Stone is the best! Tough, caring, and incredibly knowledgeable about fitness. After my first session with him I couldn't even raise my arms in the shower. Each session I got stronger and he kept raising the bar. I got leaner and built some serious muscle under his guidance. Thanks Adam"
"I have been a group X instructor for almost twenty years and have always considered myself to be fit. However, just about a year ago I added working out with Adam for an hour a week to my routine and it has made such a tremendous difference in my overall fitness level. I have never been thinner or healthier. Adam sets fitness goals and shapes his workouts so that you can actually reach them. The workouts are always super challenging and never the same, but with Adam as a coach pushing me through I am amazed at what I can now do!!!!" "Adam Stone always pushes me beyond what I perceive as my fitness limits, and my body and drive now reflect that! He is amazingly motivational, and he tailored his approach to meet my fitness goals. I lost those few extra pounds, toned and leaned up, and ended up running a half marathon! He's amazing. Thanks, Adam Stone!!" "Wanna lose weight?! I lost 73 LBS. in 2010/2011!!! Adam is the man for the job.Best trainer I've ever seen! And I have had trainers in the past....Adam is my 5th trainer and LAST! I only wish he could have moved to Maine with me so he would get me to HIT my 100 Lbs. GOAL! Thank You STONEFIT!!!" "I worked with Adam several years ago when I lived in Rhode Island. I can honestly say I've never seen or worked with a better trainer. After years of being on medications that made working out near impossible Adam got me from 0-100% every work out. He was able to adapt work outs and push me harder than I thought I could push, laughing at my jokes and cheering me along every step of the way. My limits and my bar of expectations were set higher than I ever thought possible and Adam really knows what he's doing. I highly recommend him to anyone and ANY stage of fitness. If you want someone who is going to make you better, stronger and more sure of yourself and your abilities this is the guy." "I see Adam in action daily. This guy destroys his clients with an array of different workouts, fun and grueling. Adams character will keep you wanting to come back. His attention will be solely on you, making you feel like the most important person in the gym. Truly a class act trainer." "Adam is an incredible trainer. He motivates, pushes, cajoles and sympathizes, and then he pushes again, always with a smile. He understands my strengths and my (many) limitations, and patiently works with me to help me achieve a better level of fitness. Adam makes me want to succeed not just for myself, but also so that I will not disappoint him. He is completely knowledgeable in every aspect of his field and wise beyond his years. I look forward to every workout." "I use to hate the gym. When you are overweight and self conscious, its not exactly your favorite place to be. Working with Adam has not only increased my physical strength, but my self confidence. Adam cares very much about his clients and encourages me in every way that he can. I greatly appreciate all that Adam has done for me and am so thankful for all the time and effort he puts in helping me to get healthy. To me, the cost of training is worth the investment to my health and well-being. To start getting the results you want, give Adam a visit. I promise, you won't be disappointed." "Adam Stone took me from zero to hero as he helped me meet and surpass my fitness goals. I always looked forward to my workouts with Adam because he has that perfect combination of motivation and joy. Now when I'm working out on my own, I can hear his tough but encouraging voice in my head: "C'mon! Gimme all you got! Leave it here at the gym!" Sessions with Adam also strengthened my self-esteem by improving my commitment to fitness and mental focus. I call Adam "Deep V" because not everyone can, or should, wear those deep V style tee shirts. He's someone who can pull it off, and that's a testament to how well he follows his own fitness advice and how effective his advice can be. I can't say enough about how much I admire Adam and how much I got out of my time with him. If I could, I would carry Adam Stone with me everywhere I travel to get a dose of "Vitamin A" in my workouts. Hey, there needs to be a STONEFIT app for that!" 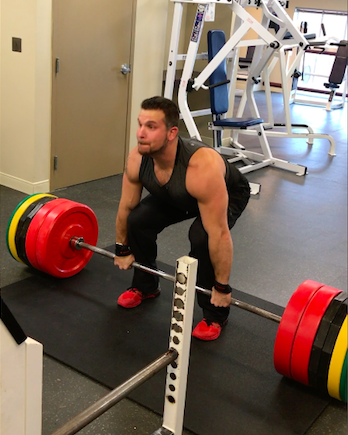 "I have been training with Adam for the past few years and am constantly amazed at how much I am capable of doing when I would never have reached theses limits on my own. Adam is honest and truly cares about getting you to the top of your fitness level. Adam is a trusted advisor who not only helps me with my exercise but also with my nutrition.I would recommend Adam to anyone looking to improve their fitness level.I love training with Adam, he makes me work harder than I thought I could. He is always there to help me with work out programs for when I am travelling and always helping me with healthy food choices. He is not just a Trainer for the body but a trainer for a healthier way of living life coach. So happy to have found him." "Adam has been training me for 2 1/2 years, since I move from ny. He has consistently been challenging while being sensitive to my physical limitations. I am stronger and more toned, precisely the goal!" "Fantastic Trainer! He does what it takes to get you in shape. Brutal workouts. Great results! I highly recommend Adam Stone!" "I have always been an athlete, but it wasn't until I started training with Adam that I started to achieve the athletic body-type I have always admired. For the past three years I have trained with Adam twice a week. I have lost inches everywhere, I am toned and feel stronger than I ever have before. Each workout is different and challenging. Adam pushes you to new levels all the time. I would recommend him to anyone." "Adam was my personal trainer while I lived in RI. I have never been pushed so hard to achieve my full potential quite like Adam was able to accomplish. He tailored a customized workout program for me and challenged me every step of the way. He is not like any Master Trainer you will ever work with and he takes his work and your health very serious. Adam goes out of his way to mix up the workouts and even worked around my schedule. He would even meet me at odd hours and work me out outside at night (boxing and resistance training). It just goes to show that he is very accommodating and puts his clients first (as long as you're putting in the work). He's very knowledgeable and personable and puts 110% into anything that he does. If you're looking for the best trainer and serious about getting healthy and achieving whichever goals you set, than Adam is who you need!!" "I own a few items and I am a huge fan of the STONEFIT gear! It's comfortable and has great designs! Thanks Adam!" If you have had a great experience with STONEFIT, we would love for you to share your story !! !